Coldplay have revealed the summit of their ambitions when they started out. Their definition of making it amounted to breaking America or sleeping with the sisters from the Corrs. They enjoyed a stateside breakthrough, although Chris Martin had to settle for Gwyneth Paltrow rather than one of the Corrs. These days, Martin told The Sun, Coldplay are focused on one goal above others – keeping up with Kanye West. That ambition, and the closeness between the band members, will keep them going even if their popularity dwindles. "There might be an end to our popularity but I think there won't be an end to our teamness or gangship, camaraderie,” Martin said. "Also, I'm always looking at Kanye West and he's moving so fast, doing such amazing work that I want to keep chasing him for a while. I don't want to give up just yet." 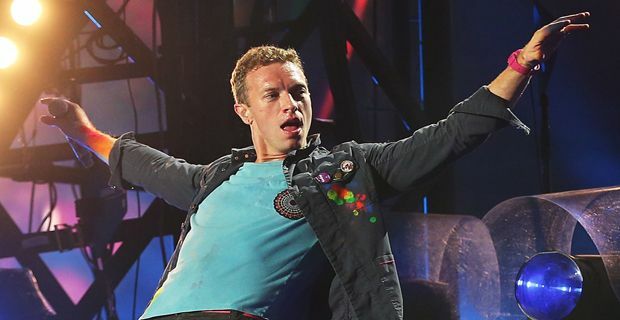 In a separate interview, with Concrete (a website rather than a magazine for the construction industry) Martin acknowledged that Coldplay do not have universal appeal. "For every new fan you get, you get another person who thinks you're sh*t," he said, taking an optimistic perspective on the likely ratio. "And, being British, we're always aware of both sides. So we try and put blinkers on. I don't care if someone doesn't like us, that's fine. Go watch TV or listen to Oasis. Whatever. It's music, not a fascist regime that we're trying to impose. It's completely fine not to like us." So there you, you have official permission not to like Coldplay. If you needed it.